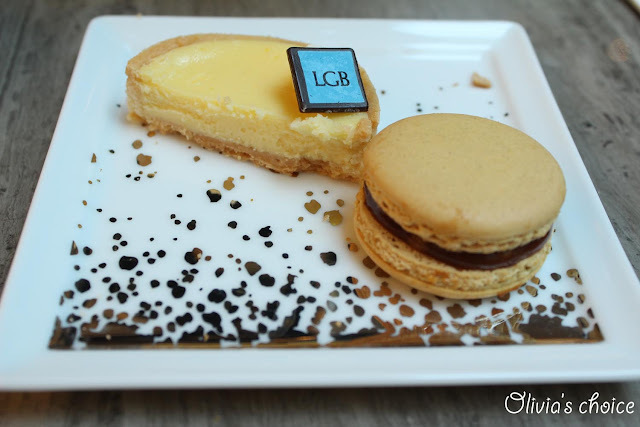 Last Sunday I went for high tea at Le Goûter Bernardaud in IFC. It was a bit of a random choice, I didn't even know if we would be having the high tea set or just a cake and a cup of tea. Well, I couldn't be more glad to have chosen the high tea set for two. It was a delightful experience that I highly recommend, as this set is far from being mere eye-candy. 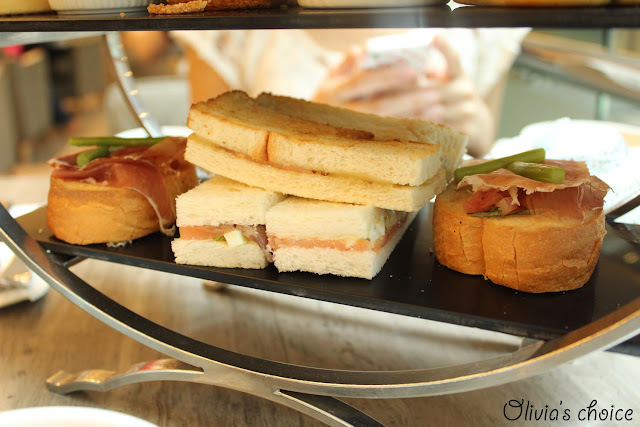 It is one of the most tasty afternoon tea sets I've tried in Hong Kong. 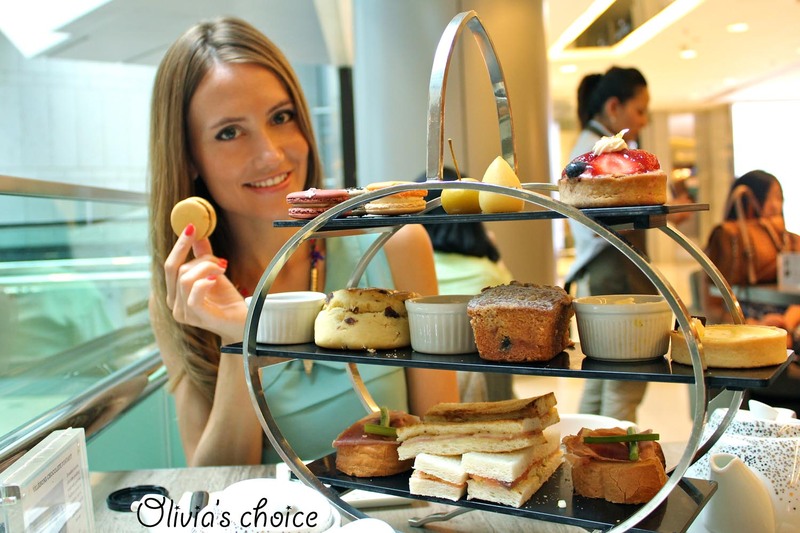 The high tea set for two, at $320 + 10% charge, consists of a three tiered stand including savories and sweets as well as a coffee or premium tea of your choice. - Bruschetta with chopped tomatos, onion and fresh herbs, topped with parma ham and green asparagus. 5* (If I could rate this 6* star I would, totally mouth-watering). Note that while the savory bites remain the same for all the tea sets, some of the sweet treats change from one set to the other, as we observed from the stands on tables around us. 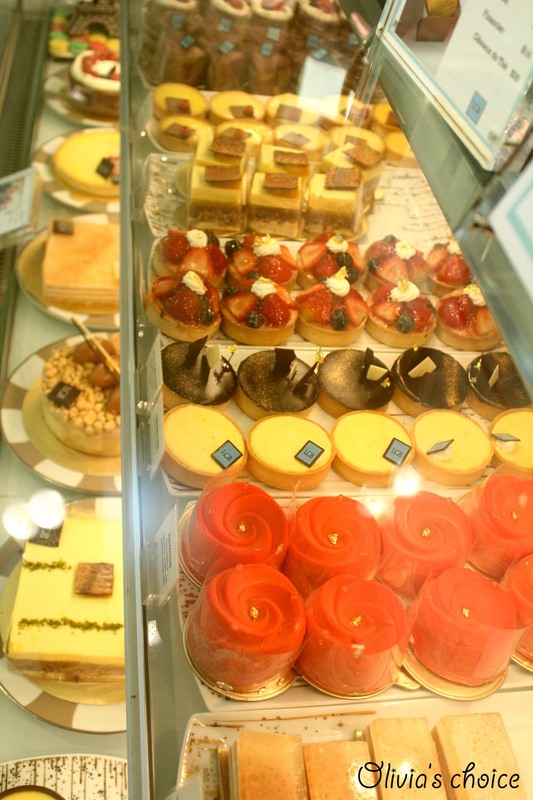 The "random" items are: the two cakes (in our case cheese tart and strawberry tart), the pastry (in our case apple, cinnamon & raisin cake), and the flavors of the 4 macarons. After taking a look at LGB's counter filled with cakes and macarons, one would expect the sweets to be the climax of this afternoon tea set. Well, surprinsigly enough, it was the savory layer that delighted me the most, making it the BEST savory layer I've ever had in a high tea. 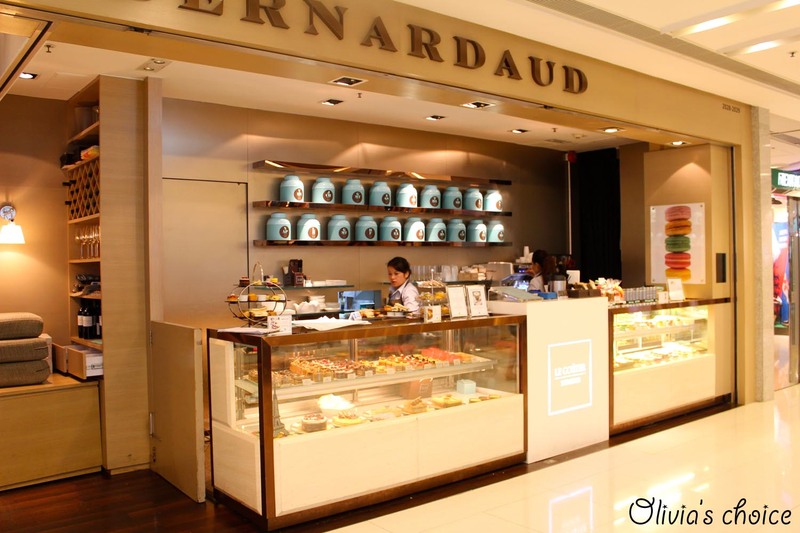 A highlight of Le Goûter Bernardaud that I can't wait to share with you is their premium teas selection from Dammann Frères. This does boost this tea set rocket high! I hadn't had such a good tea since my days back in Paris. I chose the Black Tea no.7: Cherubins. Divine Decadence! For some reason I couldn't help but thinking it smells like Christmas. This is a medium strength black flavored tea which tastes nutty and chocolatey, with a hint of citrus from the orange. I just wonder why they ommit mentioning that their tea is from Dammann Frères; not on the menu, not on their online store... but here I am as a French tea-lover to bring the truth to you! As for the venue, comfy and elegant seats and table with a nice atmosphere (as long as you don't mind passers-by staring! ), with about half of the tables being located outside the store and the other half inside (although the inside part doesn't have any kind of separation wall). Do I recommend it? I certainly recommend this eyes closed and I'm already planning to return soon to try their all-day breakfast accompanied with one of those amazing teas of them. N.B. 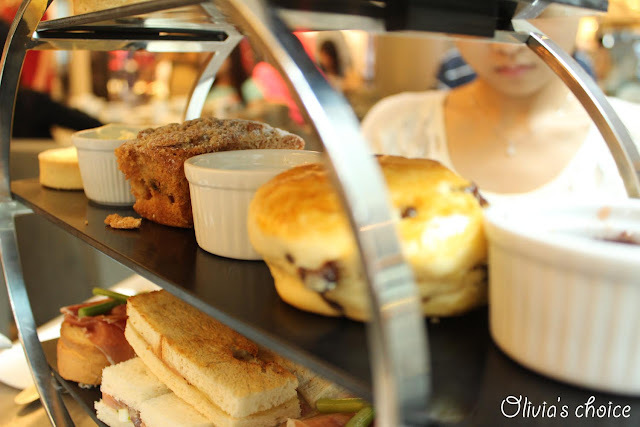 Waiters will be happy to refill your tea with hot water if you ask them. 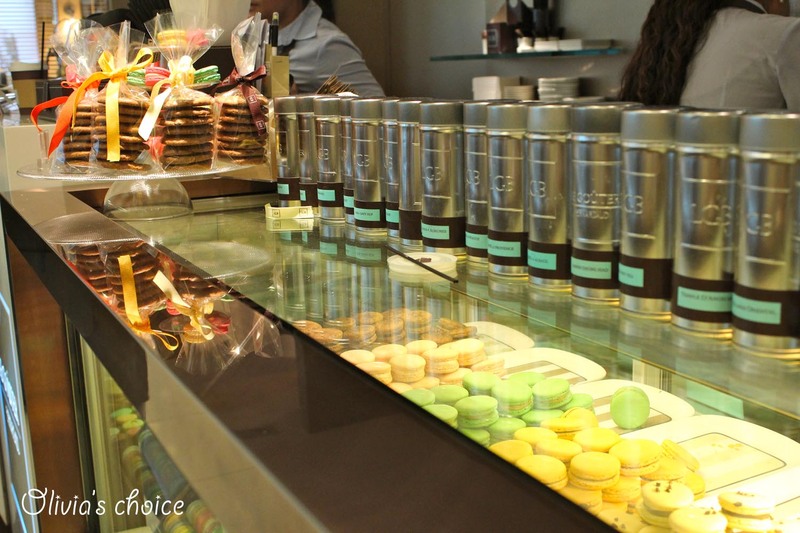 When in Taipei, I decided to visit VVG Bon Bon to escape from the afternoon heat. 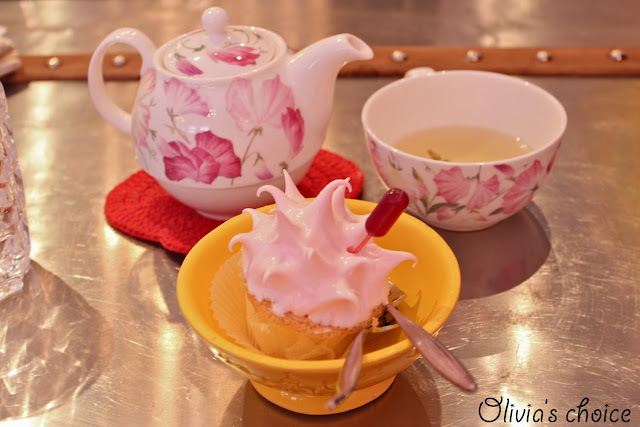 I had the rose tea and the cupcake with raspberry-marshmallow frosting. 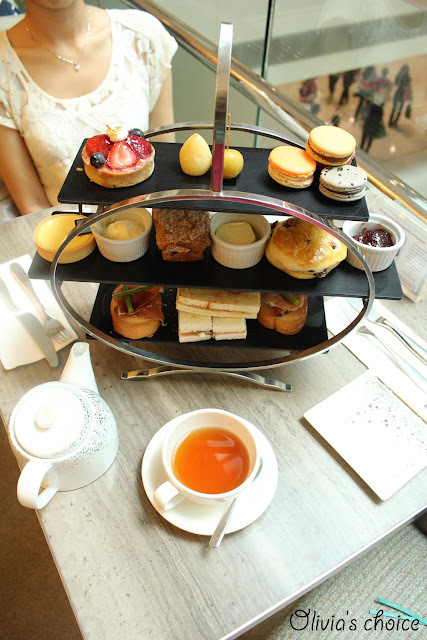 The tea was nothing special (4*) and the cupcake was bad, I just couldn't finish it (2*). The cupcake was filled with a rather distasteful red syrup that could only have been originated in a chemical lab. I know cupcakes aren't organic food precisely, but some natural ingredients are highly appreciated. Forget about that with the raspberry-marchmallow cupcake. The cupcake dough had no special taste and you could tell it was but a eggs-flour-milk mixture. 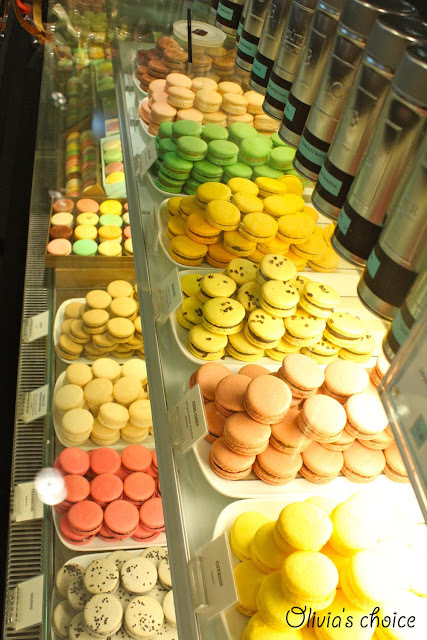 It was such a shame that on my visit they didn't have a lot of cupcake choices, as compared to pics of a counter filled with rows of cupcakes that I've spotted online. I wouldn't mind going back to try others just to see if it was a matter of bad luck on my pick, or they are all more of the same. The highlight of VVG Bon Bon is without any doubt, the venue per se. Just by looking at it from the outside, you already realise this store doesn't quite belong to the 21st century. It's more of a reminiscence of the grandeur in Versailles during the Marie Antoinette era. Would I recommend it? Yes. VVG Bon Bon is a must see for pink-candy-cuteness lovers. N.B. 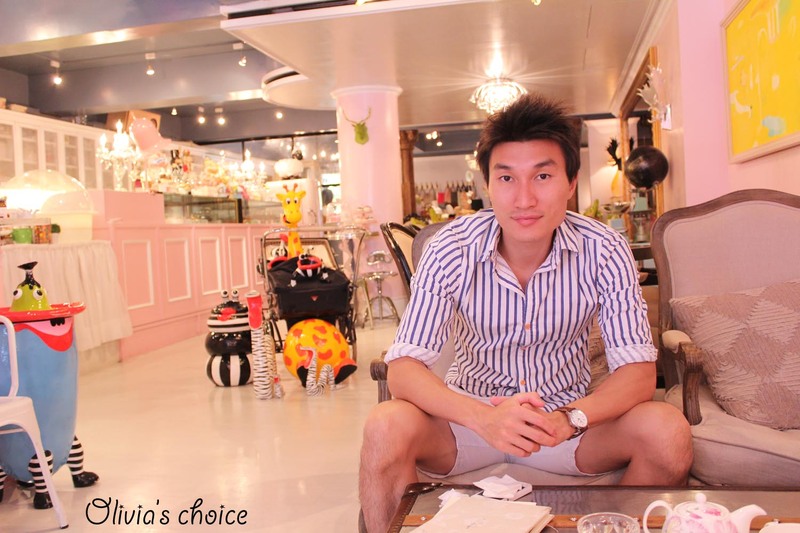 VVG Bon Bon has a minimum charge of TW$140 per person. Free wifi. 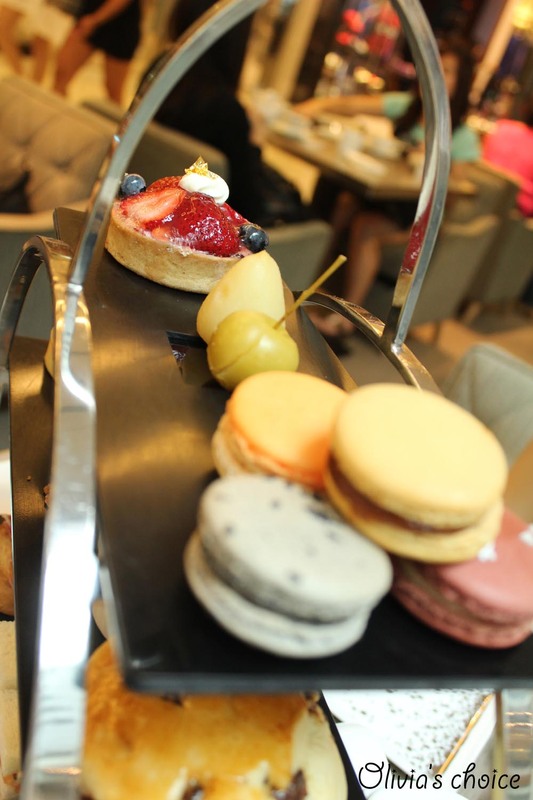 Two weeks ago I was visiting Taiwan and decided to go to Woobar in the W hotel Taipei for afternoon tea. I decided on this one upon others after reading the review in A hungry girl's guide to Taipei, since the pictures she took where eye-candy. She did mention in her last sentece: "I was hoping to be wooed by more than presentation", but I decided to ignore the warning. Well, I shouldn't have. 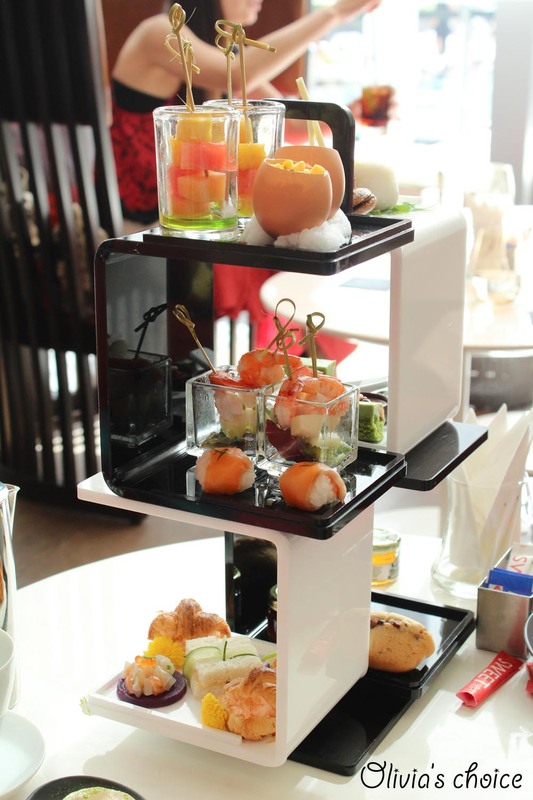 This afternoon tea set, at TW$ 1,400 + 10 % charge, was a total disappointment. Nothing at all tasted good, except for maybe the caramel macaron which was ok, and the green tea cake. The rest didn't even make it to a 3*. 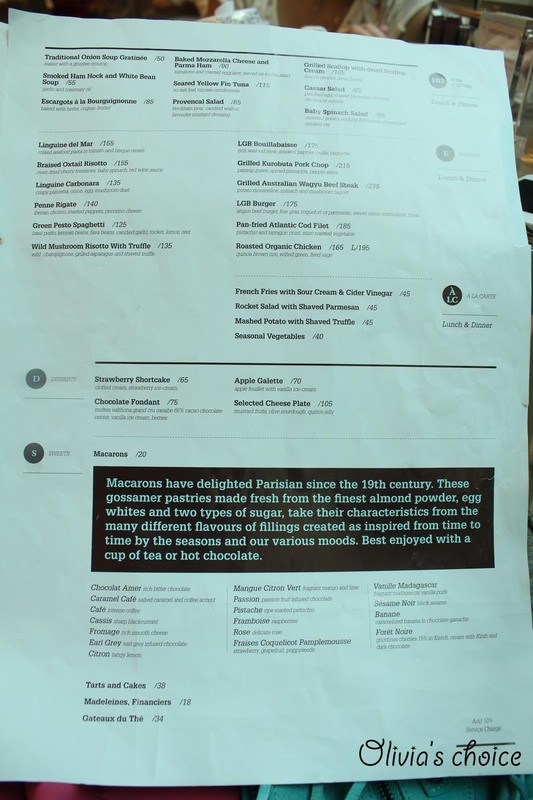 First of all, as soon as the black and white stand came to our table, I was disappointed by the fact that the food was not the same as in the pictures from the review I mentioned. I'm guessing it's a season thing. Our food was very summery, (cold and fruity), which I'm not particularly fond of. 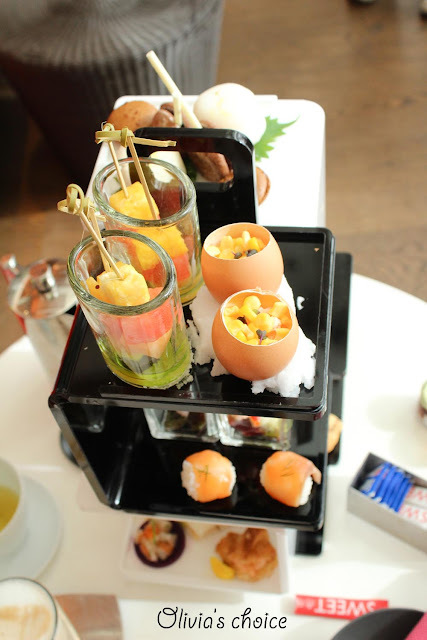 The savories, distributed among the three layers on one side of the stand, were as follows: Mixed Fruit Saba, King Crab Stemmed Egg, Smoked Salmon with Salmon Roe, Shrimp and Bamboo Asparagus and Smoked Turkey Cheddar Cheese Sandwich. As for the sweets, also three-tiered on the other side of the stand: Mochi, Chocolate and Caramel Macarons, Green Tea Almond cake, Chocolate Lips, Milk Chocolate-Raspberry Mousse, and Chestnut-Cranberry Scone. 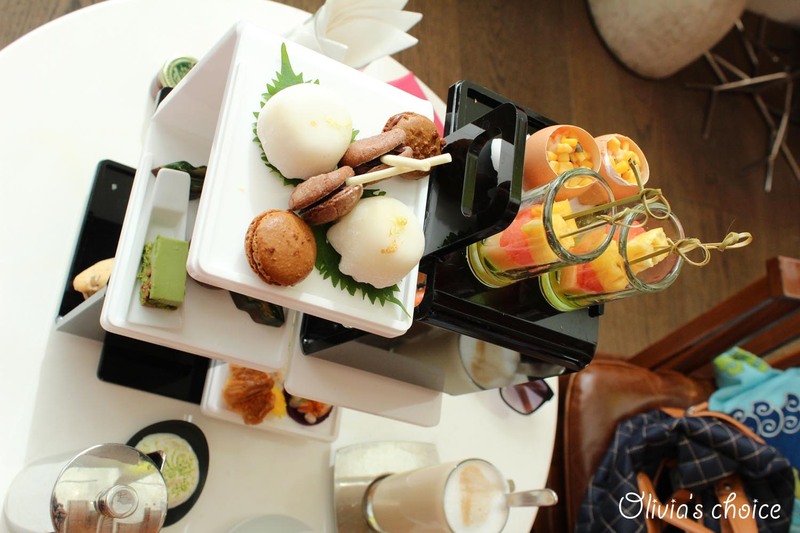 The one thing that needs to be praised about this afternoon tea set, and makes you feel like you didn't totally waste your money after all, is the fact that you can order as many tea/coffee drinks as you want. You could try every single coffee or tea on the menu for that matter! I had two cafe latte and one Japanese Sencha tea. The tea was so-so, but the coffee was delicious so I highly recommend you go for it if you ever try this set! 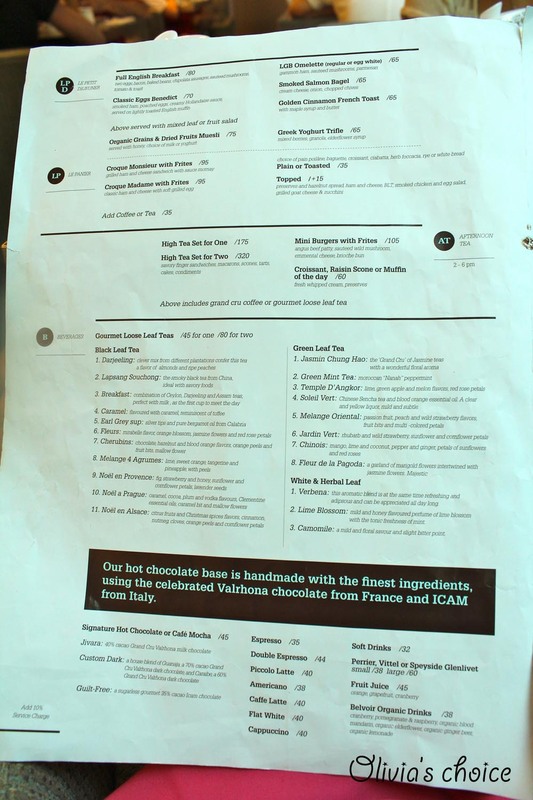 J had a cappuccino, a cafe latte and a Japanese Sencha tea, and he mentioned the cappuccino was the best among all. I can't comment on that one, but since you can try as many drinks as you want... Let me know which one is better next time! As far as the venue goes, it was ok, in line with W hotel's modern style, with a red theme and overviewing the pool. Would I recommend it? If you read my review you know my answer: Do NOT go for this set. 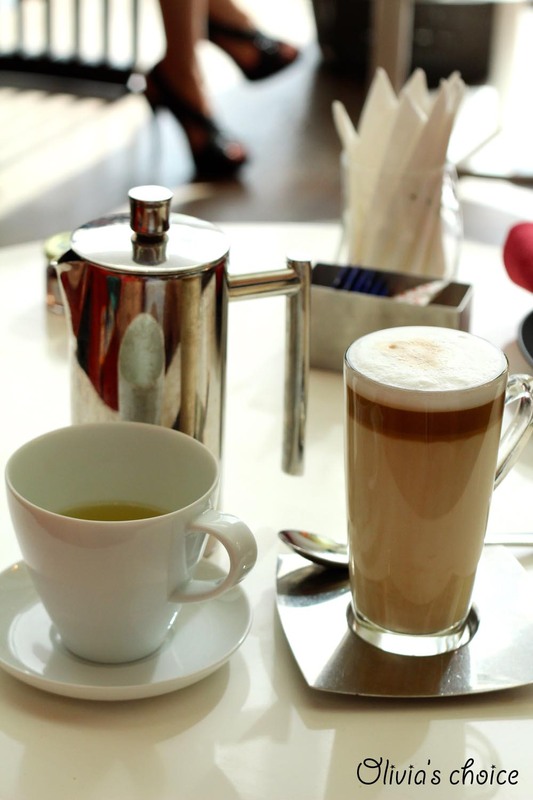 If you feel like visiting Woobar, come with your stomach full and simply enjoy a cup of yummy coffee.